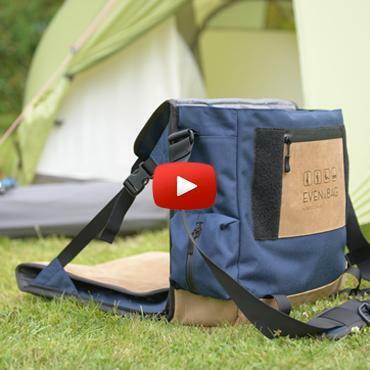 A messenger bag, a camping seat and a picnic mat | EVENaBAG. EVENaBAG commercial | How does it work? A CAMPING SEAT. A PICNIC MAT. A TOILETRY BAG. AND A MESSENGER BAG. 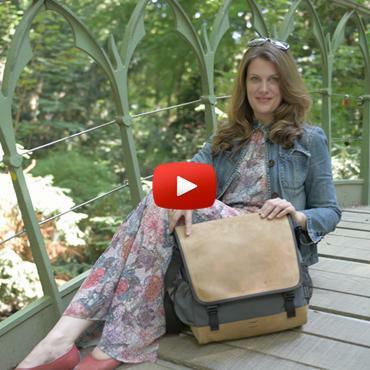 Are you looking for a bag that not only looks good but is also full of surprises? Then EVENaBAG is definitely the right choice for you. 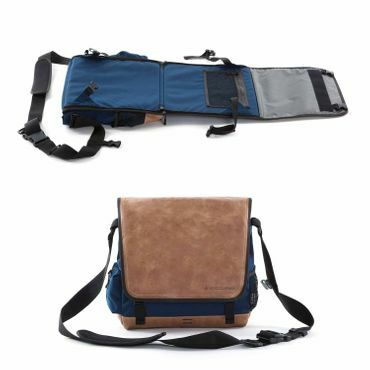 EVENaBAG is unique because the bag can also be used as a padded camping seat with backrest, a picnic mat, a hanging toiletry bag with laptop rest and of course as a stylish messenger bag. It’s truly a chameleon on your back! 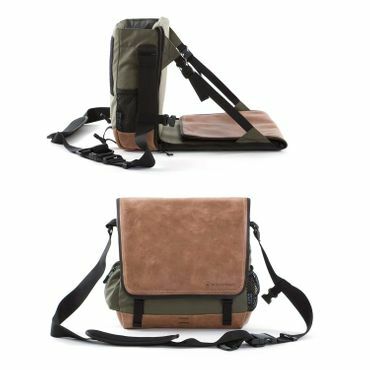 Whether you use it as a travel bag, outdoor bag, camping chair, fishing chair, stadium seat, bicycle bag, diaper bag or laptop bag: EVENaBAG is great for any lifestyle. Visit our Gallery for more images. EVENaBAG | It does things other bags can't! EVENaBAG is the perfect companion for anyone on a hike. 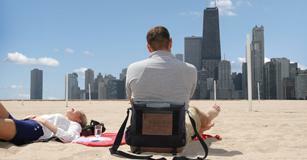 It doubles as a folding camping chair with backrest, a beach mat, a toiletry bag with laptop rest - and even a bag. It’s a must-have for your camping accessories. Do you like to stay active and prefer to cycle from one meeting to the next? 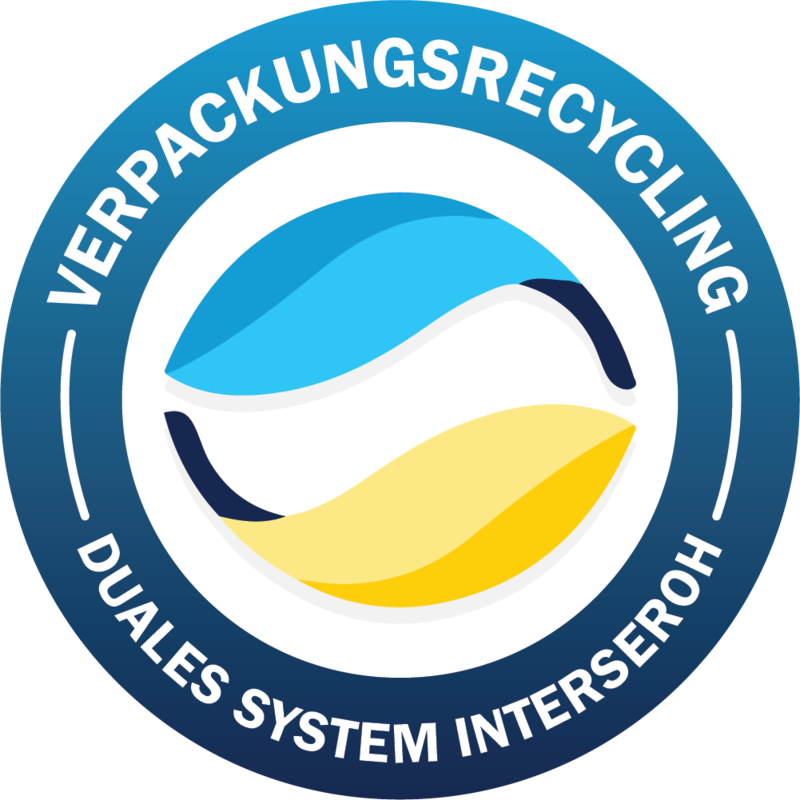 EVENaBAG can be converted easily into its 4 different functions with a few simple steps. Whether you want to sit, lie down or just want to carry something, EVENaBAG is a portable wonder that will attract curiosity. 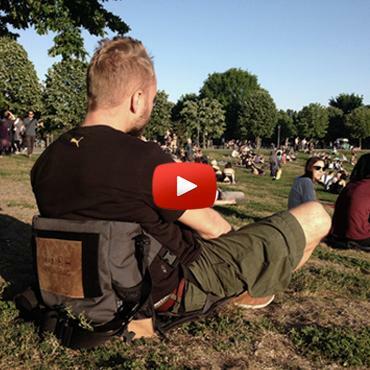 When a bag turns into a chair! It’s more useful than a Kangaroos pouch! But that’s not all: Our products are always manufactured with our high quality standards for functionality, design and durability. 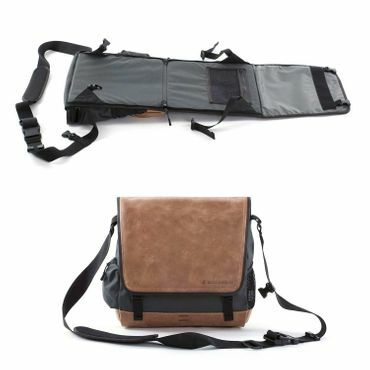 EVENaBAG is handcrafted from robust materials and vintage leather. 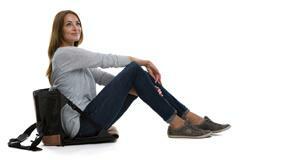 When using it as a seat, the backrest can handle up to 112 kg (247 lb) no problem. 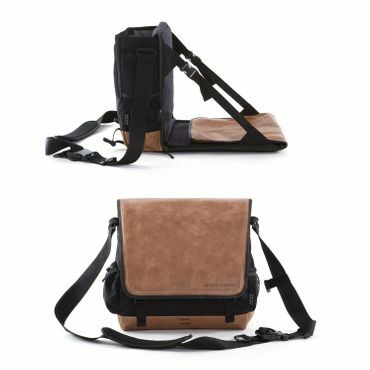 Thanks to the robust Cordura material, EVENaBAG is extremely stable and will last a long time. Cordura is water-repellent and windproof and offers excellent abrasion, tear and wear resistance. The leather we use is chosen with the utmost care. The leather naturally shows scuffing and has different shades of color, giving your bag its unique vintage look.